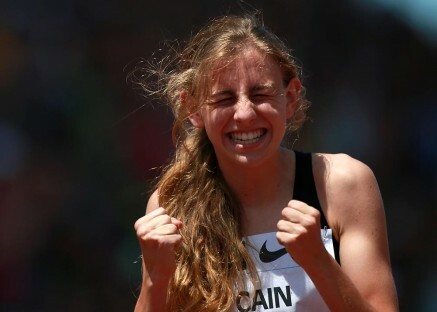 17 year old Mary Cain (USA) secured her ticket to her first IAAF World Indoor T&F Championships with a dominant win in the USATF Indoor Championships in Albuquerque. The Bronxville runner ran a tactically mature race and showed some great closing speed to win in 4:07.04 from fellow NOP athlete Trenier Moser. Galen Rupp, Shannon Rowbury and Jordan Hasay will also make the trip to Sopot in the 3000m. Rupp placed 2nd to Bernard Lagat, Rowbury initially placed 2nd and Hasay 4th in the women’s 3000m but were moved up one position due to the disqualification of race winner Gabe Grunewald. At the World’s Best 10k in Puerto Rico Linet Masai continued her return to form with a close 3rd place finish in 32:13. Ugandan Timothy Toroitich placed 7th in the men’s race in 29:18. At the English National Cross-Country Championships Steph Twell (GBR) took a solid second position behind European Silver medalist Gemma Steele.